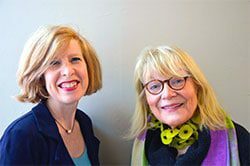 Vicki Hendrickson and Jennifer Entwistle, co-chairs of the Newburyport Literary Festival, ask you to mark your calendar for the 2019 event April 26th and 27th. Friday April 26th we will open the festival at the Firehouse Center for the Arts. The ceremony is followed by our Dinner with the Authors at Masonic Center of Newburyport. Saturday continues the festival with a full day of activities, from Breakfast with the Authors to the closing ceremony. This festival promises to have something for every reader. With a rich literary heritage, the greater Newburyport area has a lot to be excited about. 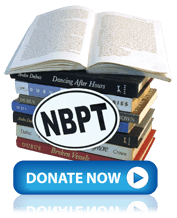 Writers as diverse as John Greenleaf Whittier, John P. Marquand, Edna St. Vincent Millay, and Andre Dubus II have called Newburyport home. The Massachusetts Cultural Councils of Georgetown, Merrimac, Newbury, Newburyport, West Newbury, Charles F. & Marianne Small Charitable Foundation, The Grog, Newburyport Daily News, Jen Wright Signs,John W. Pramberg, Esq., Bradford & Bigelow and PIGeBANK Graphic Design.